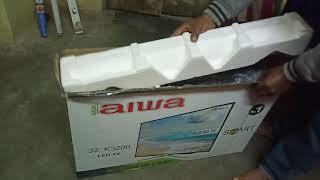 The 19 inch full hd led tv 1 year seller warranty TV is manufactured by Aiwa and was added around November 2017. This version of the TV comes in Screen Size : 19 Inch , Display Technology : LED , Refresh Rate : 200 HZ , Display Resolution : Full HD. The best price for the 19 Inch FULL HD AIWA in India is ₹ 8550 sold at ebay and available with free shipping and delivery within 10 DAYS WITHIN INDIA , 21 days OUTSIDE INDIA.